Tech Insanity - Is Erica the Robot News Anchor Here to Stay? Who do you prefer to hear the news from? Man or machine? Well that seems to be a choice that people are going to have to make pretty soon as paradigm shift comes more upon us. The world of science fiction and the world we live in today are not so far apart it seems as the gap seems to narrow just a bit as each day passes! Did you think in 2018 that there would already be robot citizens and news anchors running around? Did you know that driverless cars, automated flying drone taxis and electric semi trucks with autopilot function would dominate the news? If the answer is no, you and I would be on the same page. The stuff of Star Trek, Star Wars and Total Recall is slowly becoming more real and its either adapt or protest, I see no other alternatives. In today's article I will discuss Japan's newest robotic news anchor, Erica. She was designed to look like a lifelike 23 year old. What's more is that she may soon become a TV news anchor in Japan, according to the Wall Street Journal. 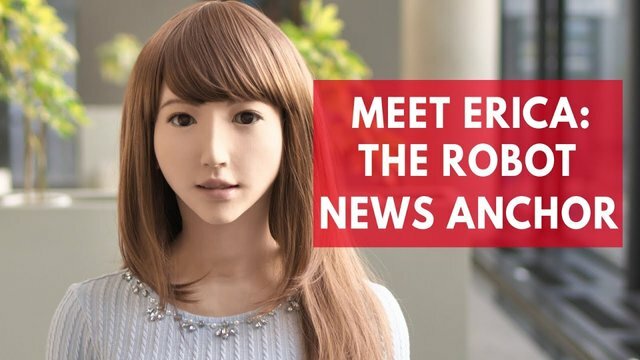 Hiroshi Ishiguro, the director of the Intelligent Robotics Laboratory at Osaka University created Erica in hopes that his android would replace a human news anchor on the airwaves as soon as April. There are a few things that Erica the android does really well which may satisfy qualification requirements for the job. Firstly, the android can recite scripted writing and sit in a chair. If you haven't noticed, this is pretty much what news anchors do all day! What may set Erica apart from other artificial intelligence, however, is her charisma, Ishiguro has said. Erica is capable of holding a conversation with humans, thanks to a combination of speech-generation algorithms, facial-recognition technology and infrared sensors that allow her to track faces across a room, the Daily Mail reported. While she cannot move her arms yet, Erica can move her facial features, neck, shoulders and waist independently, Ishiguro Laboratories said, allowing her to respond to human speech with uncanny autonomy. According to the Daily Mail, Erica has been described by her creator as being so lifelike that she could "have a soul." Based on my impressions of the video I think Erica has a long way to go before qualified to become a TV news anchor but I may just be too picky, who knows? One thing that can not be disputed is that the pace of progress in the field of robotics has never been swifter and the breakthroughs computer scientists are making in AI and voice recognition will play a very important role in developing androids and robotic technology. 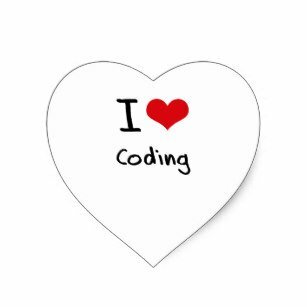 I've already been shocked at the progress made in 2017 and I would imagine that 2018 is going to hold even more surprises for technology lovers and haters alike. What do you think about Erica? Does this android have what it takes to become a TV news anchor or do you think there's more work that needs to be done before it is suitable to do the task? Two things: (1) Physical appearance is getting more and more lifelike, as are CGI characters in movies, and it won't be long before it has crossed the uncanny valley. (2) AI progress towards intelligent conversation, as in correctly interpreting unscripted input and responding appropriately is way, way down the road yet. If all a news anchor has to do is deliver scripted conversation, then I can see that happening relatively soon, but after the novelty wears off will viewers still tune in?